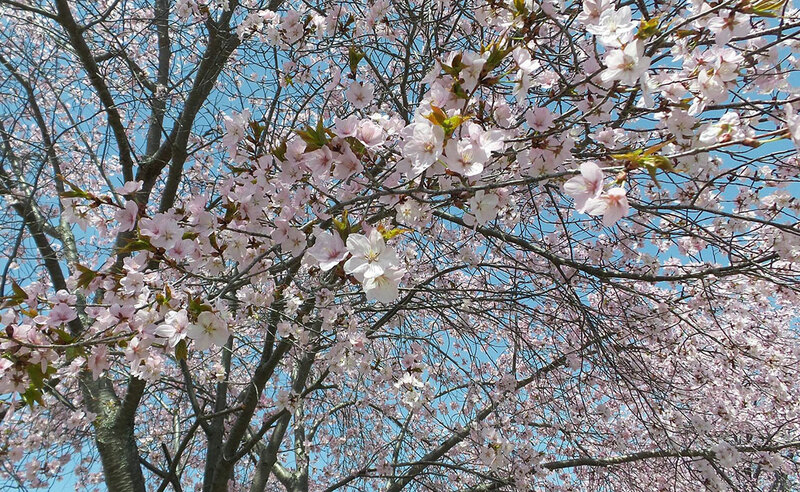 Get outside and see the earth wake up from winter! 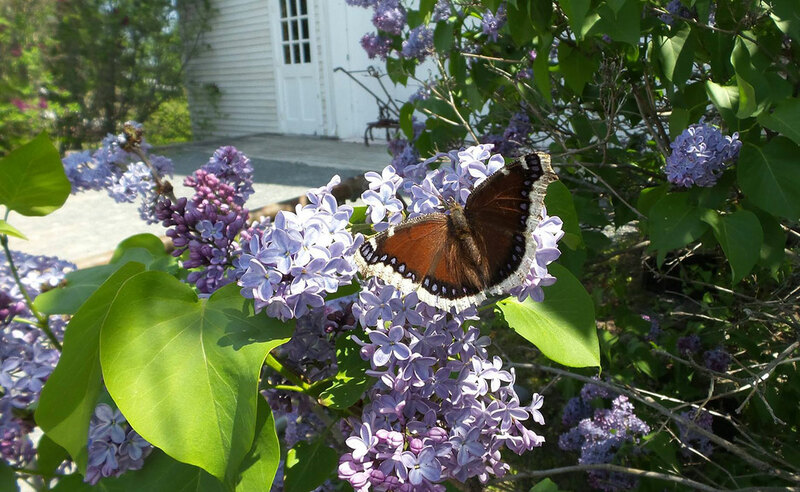 Sign up to be a citizen scientist through Signs of the Season: A New England Phenology Program. 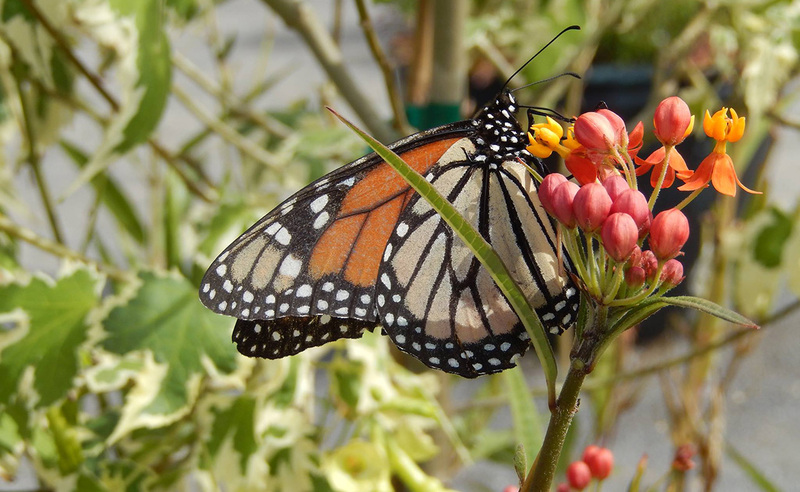 Choose one or more plant or animal species to observe throughout the year and report what you see. You will help generate data that informs scientific discovery and guides decision-making. Makes a great bonding activity with a loved one! Make your own seeding media using equal parts peat moss and vermiculite or perlite. Seeds contain the nutrition necessary for the first stage of growth and do not need fertilizers. Find more information in UMaine Extension’s Starting Seeds at Home. Get growing in earnest! Crops that can be direct-seeded in the garden as soon as soil can be worked include peas, beets, and spinach. Start long-season veggies such as brassicas and tomatoes inside under lights. Check out Johnny’s Seed-Starting Date Calculator and succession planting spreadsheet, among other handy planning tools. 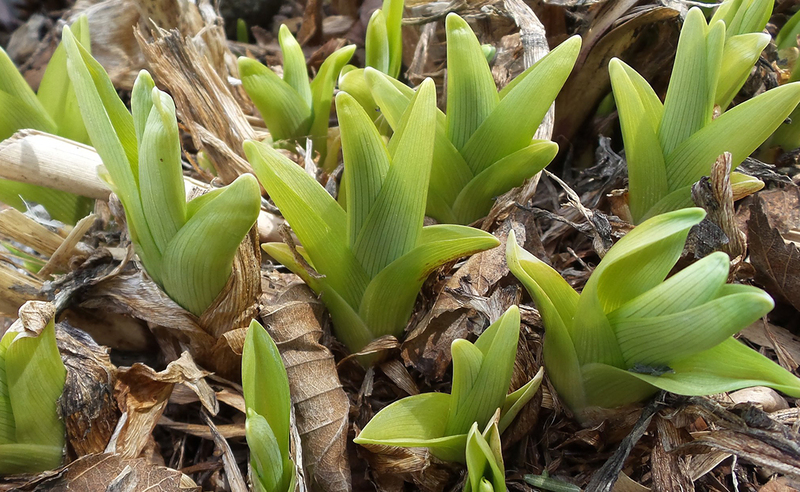 Divide summer and fall-blooming perennials once the ground has thawed and plants begin to emerge. Water stress is the biggest enemy of newly planted or divided perennials; be prepared to supplement if we have a dry spring. 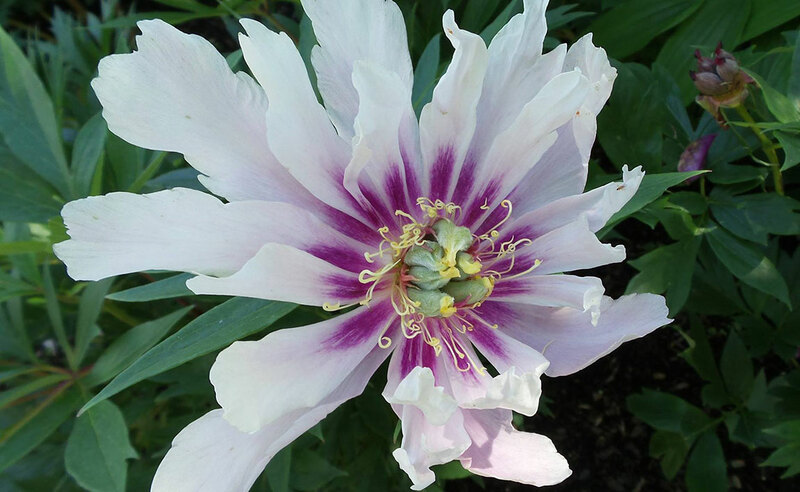 See Cornell Extension’s Dividing Perennials publication for more details. Learn more about white grubs and Japanese beetles (see Research Before You React When It Comes to Grubs Damaging Your Lawn, or UMaine Extension’s Bulletin #5037, Japanese Beetles). If you didn’t notice brown patches in your lawn last fall, you might now. The best springtime treatment for grubs is skunks and crows; the pupae at this stage are resistant to pesticides. Clean and disinfect all containers you’ve saved and plan to re-use. 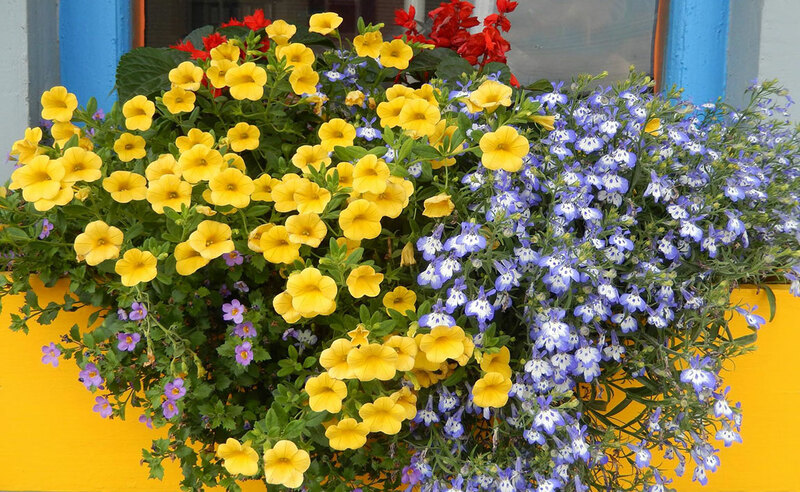 Unsightly mineral deposits (the white ring around the top and/or bottom of a pot) have a harmful effect on soil and plant health and accumulated debris may be harboring pathogens. Refer to Cleaning and Disinfecting Plant Containers from Iowa State University Extension and Outreach for detailed instructions. Review your landscape plan to be sure you haven’t planned to plant non-native invasive species. As of January 1, Maine has prohibited sale of 33 species (and their cultivars), including such popular landscape staples as Norway maple (Acer platanoides) and burning bush (Euonymous alatus). 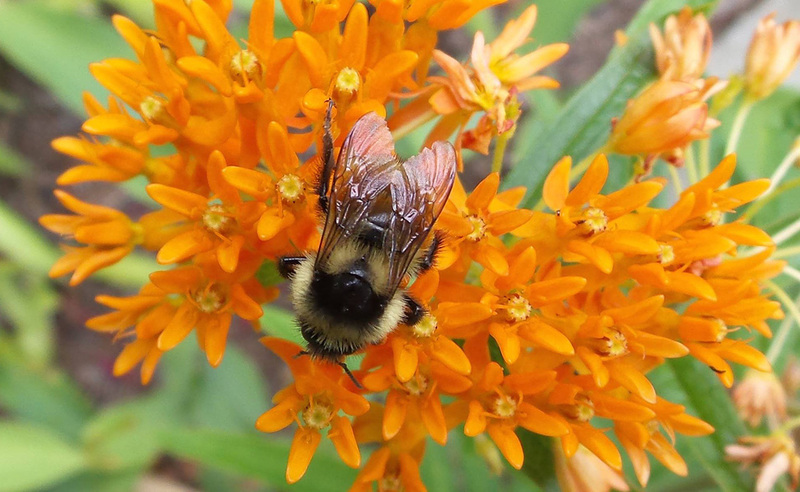 To find information about native alternatives, and what to do if you have non-native invasive plants in your landscape, consult Bulletin #2500 Gardening to Conserve Maine’s Native Landscape: Plants to Use and Plants to Avoid. A shapely shadow reveals one of the author’s excuses for having a poor garden in 2017. Our home garden was AWFUL last year. The only things I grew were weeds, a big belly, and a sweet baby girl who arrived in December. Being pregnant through the entire growing season, chasing around our energetic three year old and keeping up with work projects left little to no energy for the level of home gardening that I used to consider photo-worthy. 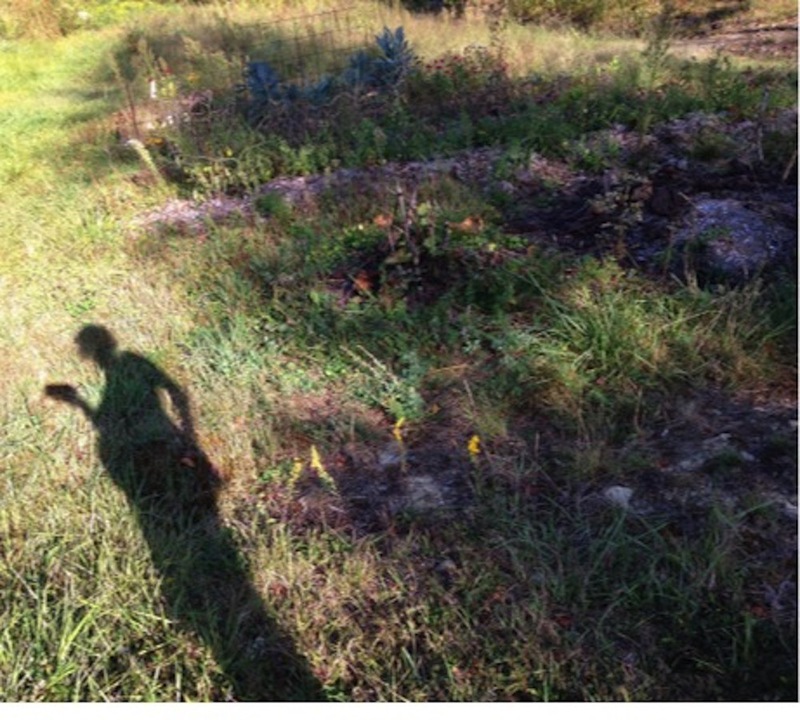 I forced myself to take a picture of the sad mess last October so I could hopefully compare it someday to the productive and pristine garden that’s in my future . . . probably a LONG time from now. I reveal my horticultural tragedy and subsequent plans to recover from it to serve as both solace and inspiration for those of you who might also be struggling with limited time, energy, and focus. It happens to everyone at some point in their life. In some cases for sad or challenging-or heck, just mundane everyday life-and some for very happy reasons, as is the case here. Gone are the days of scouting for potato beetle eggs together! My husband and I used to spend countless hours in the garden together. We started out with one 50’x50’ plot about 10 years ago and a few years later we added another 60’ x 20’ of cultivated space. Boy, did we grow some food!! Family, work, and (let’s be honest) play led us to shift our focus to the smaller plot and leave the larger one mostly neglected for the past few years. Even after scaling back, every year resulted in more and more disappointment and guilt about not keeping up with the weeds and, even worse, lagging behind on the harvest. It was tough to accept that the space that we spent so many hours building and tending was not something we could maintain. Leaves/Straw. Five inches of shredded leaves or straw (not hay) should be a good barrier to keep weeds from germinating and the soil in place. Because I’m frugal, I’ll probably only purchase one bale of straw and do the majority of my mulched beds with shredded leaves. Leaves can be shredded with a mulching mower, leaf shredder, or by carefully using a weed whacker in a plastic bin. Shredded leaves will decompose more readily and stay in place better than unshredded leaves. Plastic. We happen to have some sizable pieces of clear plastic from a construction project that will be perfect for attempting to solarize some of the garden space. According to the UMaine Extension bulletin Extending the Gardening Season, “Clear plastic mulch warms the soil more than any other type of plastic mulch, since it allows the sun’s rays to penetrate. 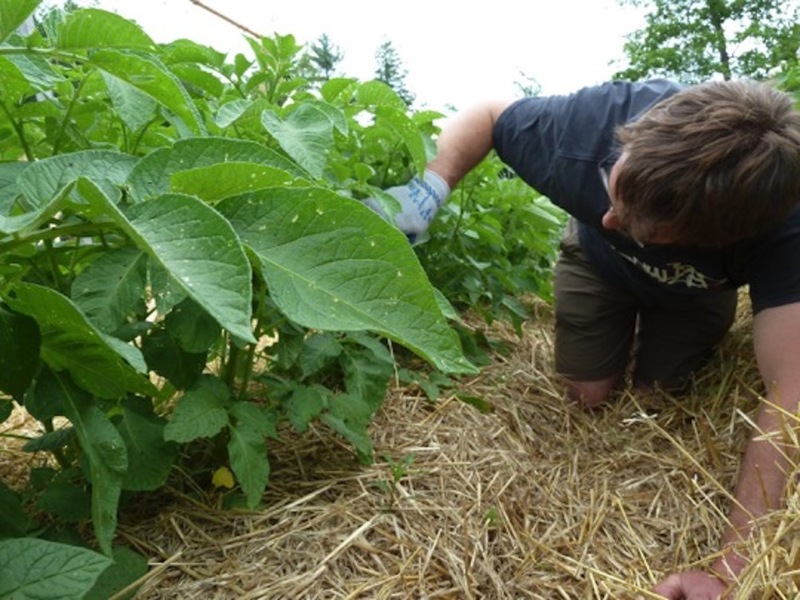 It is typically used to solarize a garden plot, and be removed before planting: solarizing kills weeds and disease organisms in the top six inches of soil.” Click on the bulletin link for more info on using plastics for weed management and season extension. Cardboard. We also have access to large amounts of cardboard from the construction project. Rather than sending it to be recycled, I’m planning on putting large pieces in the permanent walkways we’ve already established between beds and covering it with wood chips. Having permanent walkways between four-foot wide beds helps reduce the amount of compaction in planting areas, minimizing or eliminating the need for mechanical cultivation. Cover Crops. 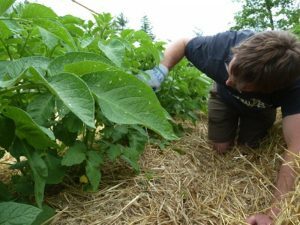 While they can serve as a good tool for many weed management situations, gardeners sometimes give cover crops more weed suppression credit than they deserve. For example, perennial weeds that spread through rhizomes, tubers, and other vegetative structures can readily grow among a healthy stand of cover crop. Our primary weed is crabgrass, an annual weed that we expect will be suppressed by a quick growing crop of buckwheat. Buckwheat will also serve as a food source for pollinators when it’s in flower. We plan to mow it back about 10-15 days after it begins to flower in order to avoid having the seed become a nuisance. The plan is to follow buckwheat with a crop of oats to finish out the season. Find more information on cover crops here. Buckwheat and oats are typically available at animal feed stores. Mowing. I hate mowing, but it’s something we are keeping in our toolkit to knock back any weeds that may creep up along the margins adding weed seeds to the soil “seed bank”. Many weed species produce large quantities of seeds that can stay viable for 10-30 years (sometimes longer). Simply cutting back the weeds before they go to seed can have a huge impact on weed pressure in future years. While it’s bittersweet to think of cutting back to less than 10% of the space we used to tackle, it feels good to know that we can enjoy time with friends and family without having the pressure and guilt that comes with a garden overgrown with weeds and unharvested produce. Stay tuned for an update on how things went this fall. Having the right tools are important for successful gardening with less physical strain. Without tools, we’d have to depend upon our hands and our mind. Gardening without tools would not be impossible, but it sure would be difficult! Like any tool, garden tools need to be maintained properly to get their optimum usage. A broken, weakened or dull tool might be used, but its full benefit is lacking. Plus, a tool not “up to snuff” could be a safety hazard. Make a list of the tools that you intend to purchase. Prioritize this “new tool” list and start shopping. 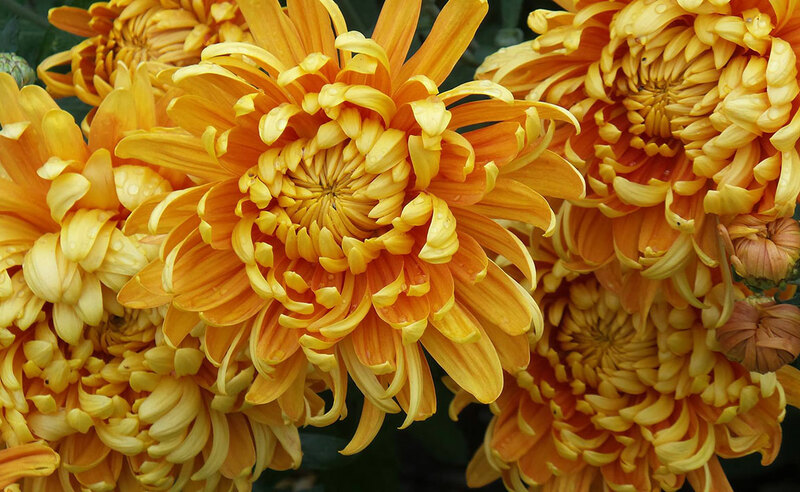 Your local garden center is a good place to start. Most garden hand tools are comprised of wood, plastic, or metal (or a combination of the three). The opportunity to clean and sharpen the metal cutting portion of a tool that is used to cut, dig, or scrape not only increases its effectiveness, but also increases the ease and safety during use. Clean the tool. Remove any collected dirt or rust (it is best to do this as preventative maintenance before storing the tool). Inspect the entire tool (handle, welds/rivets, and connecting joints). Look for cracks, splintering, loose connections, and broken welds. Inspect the working edge with your eyes and your thumb and fingers. Be careful no to cut yourself on a ragged edge. If you need a closer look, a magnifying glass or hand lens is helpful. Sharpen, repair, or replace. The severity of any problems discovered during inspection will determine the most economic choice. The sharpening of hand tools can be performed with a flat hand file, grinding wheel or sand paper. Typically, most hand tools are sharpened to a 20°-25° angle, however following the factory recommendation should be the first choice. When using a hand file, stroke the metal in one direction only (typically a diagonal-pushing motion). Hand files come in all shapes and sizes including: flat, half round, rat-tail, and triangular. All of which are categorized by shape, length and coarseness of cut. However, medium and fine-cut flat files are most commonly used for garden tools. In some situations, a course cut file may be needed. The course cut file removes material quickly and would be use for reshaping a severely damaged or broken tool. Medium cut files sharpen dulled edges quickly and can be “finished” with a fine cut file. If you have trouble making the stroke, the file is likely too coarse. Be cautious when using a grinding wheel, powered disk, or belt sander to sharpen tools. It is easy to damage the tool by grinding for too long causing the metal to become red-hot. Heating the garden tool to this temperature can change the properties of the metal and affect the longevity and hardness. If using power tools for sharpening, make light strokes while allowing time for the metal to cool intermittently to avoid overheating. Always wear tight fitting gloves, hearing and eye protection when using power tools. The best investment is in the tools of one’s own trade. — Benjamin Franklin. 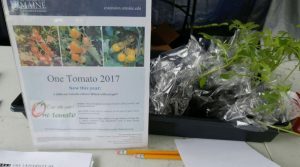 To try to encourage more people to grow their own vegetables, UMaine Extension Piscataquis County Executive Committee adopted the One TomatoTM project. 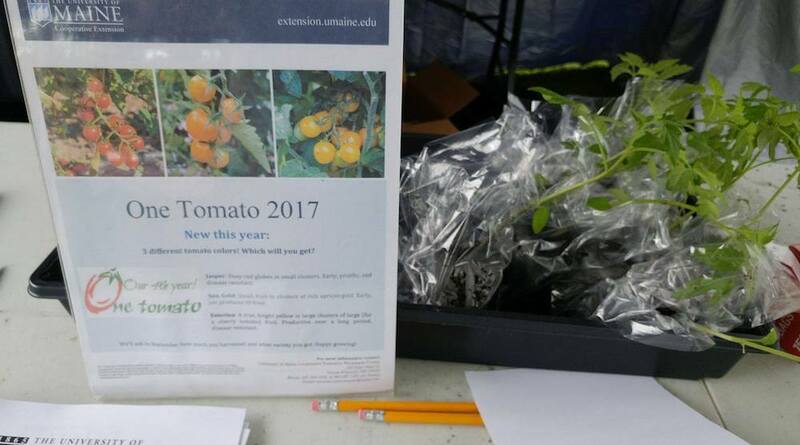 In 2017, we added 432 folks to the list of people who received a tomato seedling, for a total of 1,274 people who have participated in the One TomatoTM in the four years we have been doing it. In the first three years, a total of 120 plants were also given to a prison garden that provides food for the food cupboards, resulting in 1,394 plants distributed over four years. 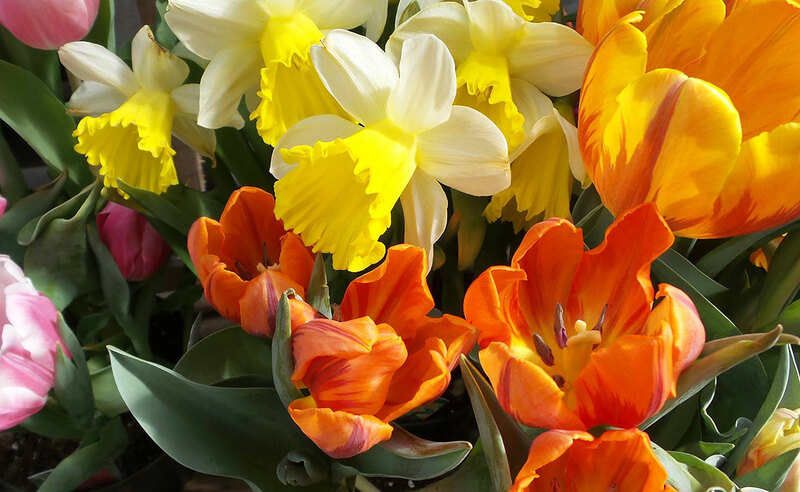 We offered three different varieties: Jasper (red), Sungold (orange) and Esterina (yellow.) Participants were given factsheets on container gardening, could sign up for a newsletter or view Facebook postings. Of the 748 people who completed the survey in the last 4 years, 144 (19%) had never gardened and this was their first garden, 153 (20%) have only gardened one to three years and 324 (37%) signed up for the electronic newsletter. In 2018, we will be asking how many years in the last ten-years folks have gardened. For 25% of the people, this was the first contact they had with UMaine Extension. As the years have gone by, we find more and more people have participated in the One TomatoTM project. The total estimated value of the cherry tomatoes grown from these seedlings is over $9,600 for the four-year old One TomatoTM program. 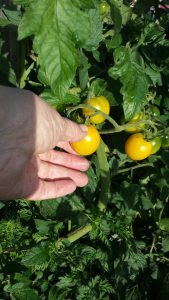 In 2017, almost 70 percent of gardeners growing Esterina reported they harvested over a gallon of cherry tomatoes! Of course, they are a larger-sized cherry tomato. As a result of the One TomatoTM project, in 2017 Checkerberry Farm donated vegetable seedlings to the Dover-Foxcroft Food cupboard. They included tomato, pepper, cucumber, lettuce and red cabbage. Trisha Smith, UMaine Extension Horticulture Aide in Piscataquis County also used the red cabbage seedlings in a SEDOMOCHA elementary school program. In 2018, we will look for new venues to distribute tomatoes to reach more new gardeners. We will have another 400 tomato plants of the following varieties: Sunrise Sauce, Jasper, Sungold, and Esterina. Follow our Facebook page to find out which variety will produce the most this year. Adding flavors to meals with fresh herbs is a great way to cut down on added sugar, salt and fat. While the recommendation to use herbs in cooking seems simple, there are a few questions that are commonly asked about the best way to use fresh herbs. Fresh herbs should be stored in an open, perforated plastic bag in the crisper drawer of the refrigerator. Herbs can last approximately 2-3 days this way in the refrigerator. Do I need to wash fresh herbs? Yes, fresh herbs need to be washed, but you should wait and wash them just before you are going to use them. Wash fresh herbs under running water, shake dry (or use a salad spinner) and pat off any extra water with a clean towel. When do I add fresh herbs to a recipe? Add more delicate herbs 1-2 minutes before the end of the cooking time or add them as a garnish before the dish is served. Delicate herbs include: basil, chives, cilantro, dill leaves, parsley and mint. Add less delicate herbs (oregano, rosemary and thyme) during the last 20 minutes of cooking. How do I substitute dried herbs with fresh herbs in a recipe? The rule of thumb when substituting fresh herbs for dried herbs in a recipe is to use three times as much of the fresh herbs as you would use of the dried herbs. What are common herb and food combinations? Use the table below to give you some ideas about which herbs to try with different foods and mixed dishes.